The tiny kingdom of Bahrain, located in the Persian Gulf, has been in the news lately due to a number of anti-government protests which began in Pearl Square. The current instability only begins to reflect the complex make up of Bahrain’s citizens, immigrants, and clouded history as the little guy in small pond with big fish. Bahrain is a small (750,000 square-kilometer) nation, made up of 33 islands with Bahrain Island being the largest and (by far) most popular. The capital of Bahrain is Manama, where all international flights to the country arrive and depart. Many travelers and guides refer to the nation “Bahrain” as a whole, without breaking information down into individual towns and cities due to the nation’s small area. 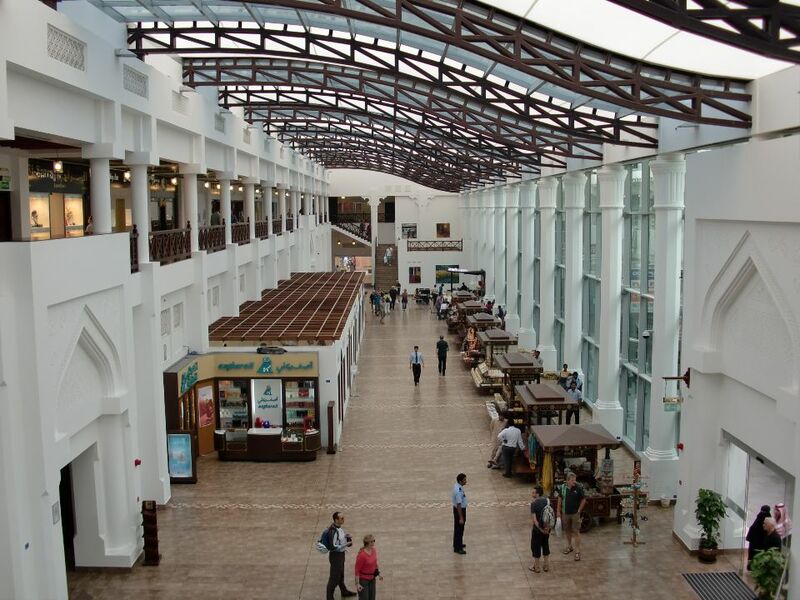 Easy Entry – Bahrain issues tourist visas on arrival to a variety of nationals. Visas for 2 weeks (or multiple entry up to 28 days) can also be obtained in advance online through the Bahrain Electronic Visa Service at the same cost of around 7 Bahraini Dinar (~$18 USD). Oil Economy – 30% of Bahrain’s gross domestic product (GDP) is from oil revenue. Number Of Visitors Annually – Bahrain sees 2-4.9 million travelers annually [PDF], putting it somewhere near Brazil in world ranking. There are oil fields and deserts in the south and interior, plenty of beaches and coastline, along with several remote touristic sites that are all easily accessible by rental car or taxi. Bahrain, like many of its Gulf state neighbors, is made up a large immigrant minorities who come to the country looking for work through guest worker programs. With the rapid furor of development in Bahrain, finding work isn’t difficult, although the labor often is. Large US Expat Community – The United States 5th Navy Fleet is based out of Bahrain, bringing with it many US military families. 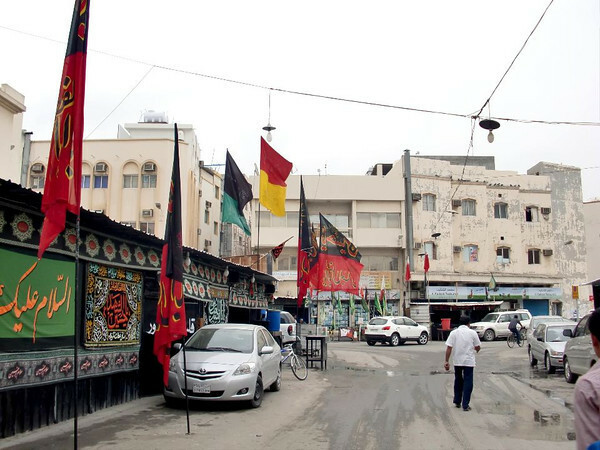 Areas like the Manama’s Adilya are teaming with nationals of the US, Germany, and other Western nations, keeping Bahrain remarkably in tune with those places. The immigrants populations are mostly from India, Nepal, and the Philippines, creating a sense of multiple worlds on a tiny island. 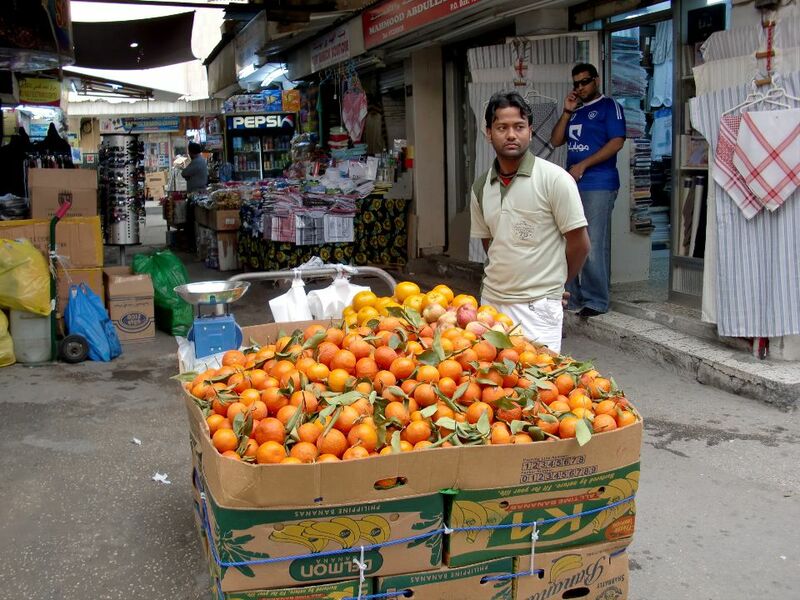 Not only are these peoples contributing to the Bahraini workforce, they also bring with them their culture and food giving travelers to Bahrain a plethora of variety for each of their senses. 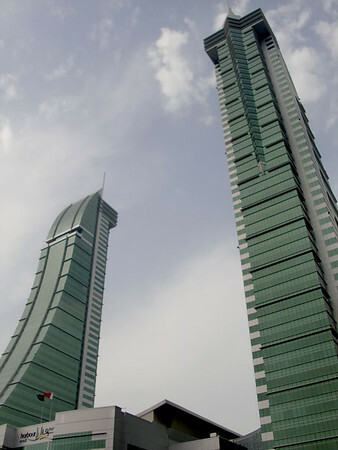 The financial district in Bahrain is evidence of the oil-based funding going into modern development along Manama’s coastline. Creative skyscrapers overlook modern souks like Bab Al-Bahrain, with other neighborhoods looking more like microcosms of southeast Asia. A large part of the separation within the populations is reflected by the difficulty of obtaining Bahraini citizenship; which is typically only granted to Arabs who’ve been in the country for more than 15 years. Citizens receive a number of special benefits from the government; including monetary bonuses, some which come at opportune times. Prior to the introduction of Islam around the 700AD, little is known of the inhabitants of Bahrain. Burial mounds of ancient peoples dot the interior landscape of Bahrain, whose somewhat mysterious history is covered well at the Bahrain National Museum. Currently, Bahrain has a Shiite Muslim majority and was part of the Persian Empire until 1793, until the current ruling Sunni Muslim Al Khalifa took power. The Shiite neighborhoods are segregated and marked obvious by black flags. Much of the religious tension between the Sunni and Shiites, including mistrust and allegations of discrimination have fueled the recent demonstrations against the government in Bahrain. In the early 1900s Bahrain’s economy was based on pearling before the discovery of oil in 1932. There are monuments, museums, and stores filled with pearls for sale (at especially low prices) throughout Manama. Bahrain has a carefully crafted exterior that dulls the many of the conditions that make it such a (usually) attractive place to travel. English is very widely spoken in Bahrain to the degree where it has become the universal language between all of the various nationalities in the country. Public and private transportation is by-in-large inexpensive and quickly navigable, and the variety of international food will satisfy most any traveler’s appetite. 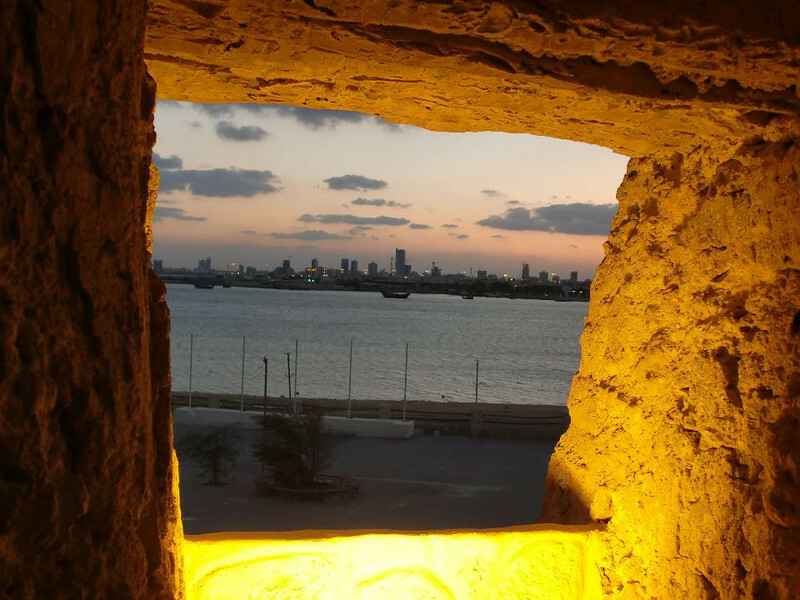 Where Bahrain’s culture, food, and history begins and ends is unclear yet all of it is sharply focused on a small physical area making it impossible not to dig into immediately upon arrival. Bahrain’s problems seem much more complex than those that have caused protests elsewhere in the Middle East. You’ve made it sound like such an interesting place to visit but I guess a few people will have plans on hold for the moment. Yes, there is definitely a mistrust between the royal family and the Shiite community; the ruling Al Khalifa family has suspicions that Iran stokes the fire of unrest for their personal gain from time to time. Then there is the strong Saudi influence and of course all the oil in play…just to start! Honestly Bahrain really surprised me in how diverse, easy to travel, and enjoyable it was on many levels. A great place to visit and hopefully will be so again soon. Thanks for the compliment, I’m working hard to take more and more photos so glad some turn out ok! Bahrain a great country and beautiful place… a lot of places to get theses and enjoying … bahrain has a nice cultures to welcome all visitors..
Love love the photos Anil. I really like reading about your adventures in the Middle East as it demystifies a lot of the things we may be afraid about. Cool, thanks for sharing this information Anil. My cousin was in the US Navy a few years ago and I know he stopped in Bahrain a couple of times on his ship. From your description and everything my cousin said, it looks like a small place packed with interesting things! Great photo through the window and lots of info to fill in the blanks on what little I knew about Bahrain. Thanks Leigh, the views from Arad Fort where that picture was taken are really incredible. The only thing is, if you’re there around sunset, taxis stop coming and going. Had to hitchhike for a dinar to get back! No, although much of the tourism is from neighboring Gulf states so the overall drop off might not be too bad for Bahrain. Still, it’s a tough blow for a place that not many people outside of that area might know about. Didn’t know much about Bahrain, so thanks for enlightening me!